This is a great-looking floral designed item from our turquoise collection. 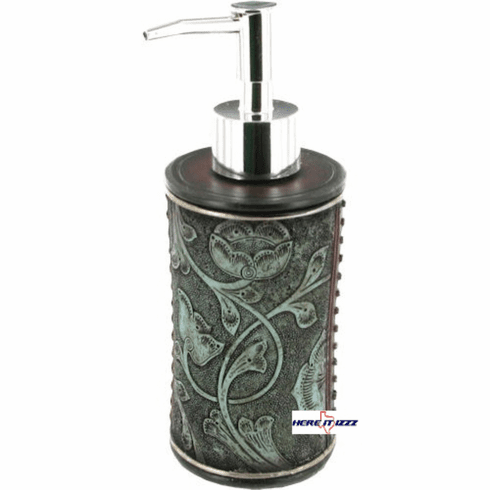 This floral turquoise lotion pump is a perfect way to dispense hand cleaner soap or sanitizer. Put one in every room to have available for easy convenience.